Petroleum coke, or petcoke, is a byproduct from the refining of crude oil. It is derived from a final cracking process—a thermo-based chemical engineering process that splits long chain hydrocarbons of petroleum into shorter chains—that takes place in units termed coker units. Raw Petroleum Coke (RPC) is “bottom of the barrel” product of refinery. This is a solid product. The recent trend of coker units is with view on resid upgradation and maximization of middle distillates. There are two distinctive grades of RPC viz. Calcination or Green RPC and Fuel Grade or Petcoke. It consists mostly of carbon, with variable amounts of sulfurs and heavy metals. It has many industrial uses, including the production of batteries, steel, and aluminum. Fuel grade petcoke is typically very high in heating value (BTUs per pound), which contains higher concentrations of sulfur, produces virtually no ash when burned, and is most commonly used as fuel in coal-fired power plants, electric power plants and cement kilns. 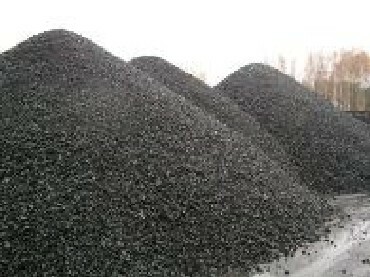 As a carbon source, petroleum coke is used to manufacture : Energy, Steel. Raw and Calcined petcoke shall be available from refineries and port locations.